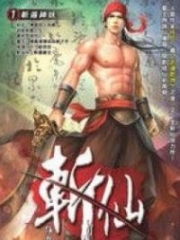 You’re reading novel Trial Marriage Husband: Need to Work Hard Chapter 551: You Can't Just Fire My People online at LightNovelFree.com. Please use the follow button to get notification about the latest chapter next time when you visit LightNovelFree.com. Use F11 button to read novel in full-screen(PC only). Drop by anytime you want to read free – fast – latest novel. It’s great if you could leave a comment, share your opinion about the new chapters, new novel with others on the internet. We’ll do our best to bring you the finest, latest novel everyday. Enjoy! To suit the status of Xu Corps, no matter how much Xu Qingyan disliked it, she had to transform herself into an elegant socialite as per Father Xu's orders. So, after so many years, it had been a long time since Xu Qingyan had tested out what was suitable for her and what was currently popular amongst women. She had merely become the face of Xu Corps. "Since you can't change the situation with your father and will get hit regardless, then you should dress the way that you like. You don't need to continue doing what you don't like," Tangning explained patiently to Xu Qingyan, like a mentor speaking to her student. Xu Qingyan thought about Tangning's words and realized that she was right. But, she also felt a little upset; upset that she pretended to be someone she wasn't​ for so many years. Afterwards, Tangning instructed Lu Che to send over her styling team to Hyatt Regency, "I've worked with this team for a long time. You can also call them in future if you need them." Xu Qingyan remembered Tangning's every word as she looked at her own seaweed-like hair. "I'll leave her with you. I trust your professionalism." The stylists smiled as they nodded their heads, before they started applying their skills on Xu Qingyan. Tangning noticed that Xu Qingyan was a little nervous, so she walked over and shook her stiff body, "Does your father have anything he is afraid of? Or is there someone that he is wary of?" "Grandfather," Xu Qingyan replied without a second thought, "My father is afraid of my grandfather..."
"He is living on a small private island. But, it isn't far from Beijing. We can get there in 2 hours," Xu Qingyan replied as she sat down. "Tell me the address, I'll tell Jingxuan to get him." Xu Qingyan nodded her head. She then pulled out her phone to find her grandfather's address and pa.s.sed the details on to Tangning. While Xu Qingyan was surrounded by the stylists, Tangning covered her stomach and stood up to make arrangements for Xu Qingyan. She then looked down from the second level and said to Xu Qingyan, "I'll be in the study room. Give me a call when you're done." Actually, Tangning was getting a bit sleepy because of her pregnancy, so she needed some rest. Xu Qingyan had no idea about Tangning's situation, but even she ended up falling asleep while getting her makeup done. After 3 hours, Xu Qingyan was finally awoken by the makeup artist. As she opened her eyes, she was shocked. The woman in the mirror was nothing like how she started out. "Miss Xu, are you satisfied with this look?" Xu Qingyan had never seen herself like this before. She had never seen herself with so much personality. "If you add a bit of confidence and relax your walking style, you will be even more beautiful." She had once done so much to please Han Yufan, yet what did she get in the end? This was proof that all women must learn to be strong. Only then would others learn to appreciate them. Whether it be a lover or a relative, this rule applied for both. Meanwhile, Ye Lan was at home casually eating some melon seeds. Everytime she cracked open a seed, she would throw the sh.e.l.l randomly around the room. She knew that Xu Qingyan never disobeyed her father's orders, so it wouldn't take long before she'd obediently return home and get back to work. The family's cook looked at Ye Lan helplessly. It was obvious that she was doing it on purpose. It wasn't the first time, and every time she did it, Xu Qingyan would end up being scolded by her father. "This woman is so hateful. If only she could be kicked out of the Xu Household." "What are you muttering about in the corner?" Ye Lan heard some chatter and turned to look at the cook with a cold glare, "Do you not want your job anymore? If you don't want it, you can immediately get lost!" The cook did not expect to draw trouble upon herself, however she had no choice but to tear off her ap.r.o.n and throw it on the ground, "You shameless sl*t. Did you think that I want to stay here that badly?" The cook felt wronged as she held back her tears and headed for the door. At this time, Father Xu walked into the living room holding some doc.u.ments and questioned the two women, "What's happening here?" Ye Lan sugar-coated the entire situation as she explained what had happened to Father Xu. As a result, Father Xu turned to the cook and yelled, "Get lost! From now on, you will no longer have a job. You're fired!" The cook looked at Father Xu in shock as she weighed the seriousness of the situation in her mind. Just as she was about to plead for mercy, a beautiful black figure attracted the attention of the three people in the living room. Father Xu was stunned. He had never seen Xu Qingyan look so beautiful before. Meanwhile, Ye Lan was filled with envy. After all, her and Xu Qingyan had never been on the same level when it came to beauty. Especially since, Xu Qingyan's current style looked like it had been specifically personalized to suit her. "You can't just fire my people," Xu Qingyan said calmly to Father Xu. "You've become beautiful," Father Xu scanned his eyes across his daughter. He suddenly felt that he had overlooked her. He never expected that she could look so beautiful. "Why aren't you leaving?" Ye Lan threw her arrogance upon the cook. At this time, Xu Qingyan's volume increased, "I already told you, you can't just fire my people!" Ye Lan furrowed her brows at the sound of Xu Qingyan's voice before she looked at her with an amused smile. She suddenly felt that Ye Lan had gained some guts. How dare she speak to her with this tone of voice? "Xu Qingyan, did you think you are in control of this family? Don't forget, your father already told me previously that if I wanted to, he could hit you to death right away." "Really?" Xu Qingyan asked with a smile. In reality, she was extremely nervous inside. After all, she had never spoken so bravely in front of Ye Lan and her father. Inside, she was actually not that confident. Ye Lan scoffed and crossed her arms as she approached Xu Qingyan. She then glared at her coldly, "I feel like I should teach you a lesson on behalf of your ill-fated mother. Otherwise, you wouldn't understand that this is the Xu Family and I am Mrs Xu, the woman that you should be calling​ 'mom'!" You're reading novel Trial Marriage Husband: Need to Work Hard Chapter 551: You Can't Just Fire My People online at LightNovelFree.com. You can use the follow function to bookmark your favorite novel ( Only for registered users ). If you find any errors ( broken links, can't load photos, etc.. ), Please let us know so we can fix it as soon as possible. And when you start a conversation or debate about a certain topic with other people, please do not offend them just because you don't like their opinions. You're reading Trial Marriage Husband: Need to Work Hard Chapter 551: You Can't Just Fire My People. This novel has been translated by Updating. 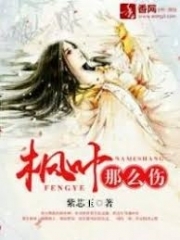 Author: Passion Honey, 百香蜜 already has 4158 views. Current Time is Apr-24-2019 00:00:44 AM.